Our research group is working in the southern Northwest Territories to explore how recent, widespread wildfires are affecting aquatic ecosystem function. This research is occurring in collaboration with scientists from the Government of the Northwest Territories, and researchers from Wilfrid Laurier University (Dr. Bill Quinton), Environment Canada (Dr. Chris Spence), and the University of Alberta (Dr. David Olefeldt). 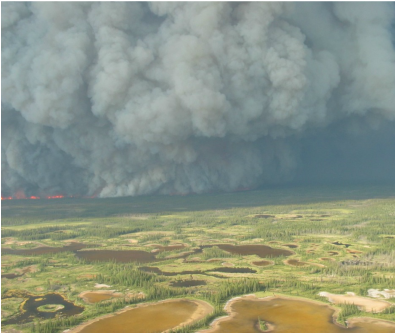 Fieldwork for this project is being carried out in the Taiga Plains and Taiga Shield ecozones of the Northwest Territories, to understand the interacting effects of fire and permafrost thaw across diverse Arctic ecosystems.